Last week, January 15th, Dolores O’Riordan passed away at age 46. She recently had traveled to London for a recording session and died unexpectedly at a hotel in Mayfair. Today’s post is in honor of her life, career and to pay tribute to a very underrated band from the ‘90s. In 1989, brothers Mike and Noel Hogan formed a band in their hometown of Limerick, Ireland. After their original singer left, they placed an ad for a female lead. O’Riordan replied and auditioned by writing lyrics to the band’s existing demos. When she returned with a rough version of what would become a major pop hit, she was hired. 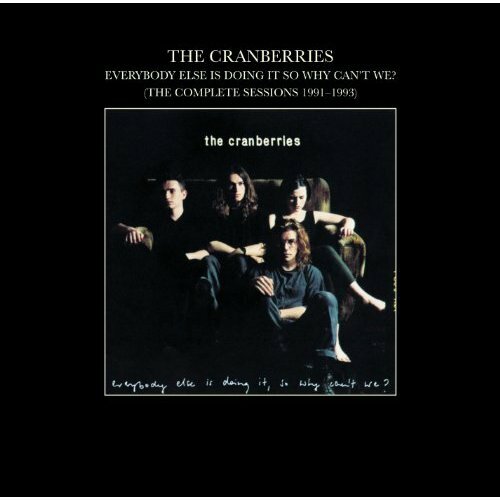 The band’s name at the time was The Cranberry Saw Us, but feeling like they may catch fire with the new lineup, was shortened to just The Cranberries. The band found a small label to produce a three-track EP and it was distributed to record companies throughout the U.K. It would end up causing quite a stir, sparking a bidding war between labels. Eventually, Island Records won out and they immediately went into the studio. After spending months working with a producer who yielded poor results, they had to go back to the drawing board. In the meantime, they were still featured on local radio and television, all generating a positive buzz for the group. 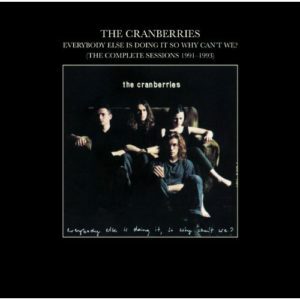 In March of 1993, The Cranberries released their debut album, Everybody Else Is Doing It, So Why Can’t We. Initially the album flopped a bit, peaking at #74 on the charts. After the band decided to tour behind another popular English act, they caught the eye of MTV who began re-releasing their songs and videos. Radio took notice, and the album moved to as high as #14 this time around. In Ireland and the U.K., the album was immensely popular, reaching #1 in both countries. For some reason, it blew up in Australia as well, at one point being in the Top 25 best-selling albums of all time. It received almost unanimous critical acclaim, with reviewers adoring O’Riordan’s vocals and writing style and the overall laid back feel of the record. Nearly everyone felt this group was simply scratching the surface of what they’d become. A year later the band would strike gold with their sophomore release lead by the single “Zombie,” still heard throughout pop culture today. While “Everybody Else” was no slouch album—selling over 10 million copies—the follow up nearly doubled that with roughly 18 million sold to date. At a time when grunge and western U.S. based bands were absolutely dominating the music scene, The Cranberries managed to carve an outstanding niche without singing about angst and rebellion. They did it with an angelic vocal and a perfect complement of background tempo and style. This album specifically almost feels acoustic in the sense; the vocal is so highlighted as compared to the guitar or drum work. You get the best of both worlds with a track like “Zombie” later on, but for my tastes, this album start to finish is the best in their catalog. Calling it alt rock is a bit of a stretch, but it certainly wasn’t pop music, especially given the time in history. As a personal aside, I owned this album at a young age, as it was one of the “Buy 1 CD Get 20 Free” promotions companies were running back in the day. I don’t think a 9-year-old me appreciated the arrangements and vocals as much as I do today, but even then, there was something fascinating about it that put it in regular rotation. The Cranberries took a hiatus for a few years to focus on solo careers, but reunited in 2009 and even put out some new material. Their most recent album came out in April of last year, complimented by a tour. O’Riordan developed major back issues and the tour was cancelled in July of ’17. Sadly her passing will likely lead to the newer material not being released and the band going a different direction. Pick this one up today for $5 and pay respect to an outstanding talent gone too soon. RIP Dolores.